New York has Central Park and London has it very own Hyde Park. 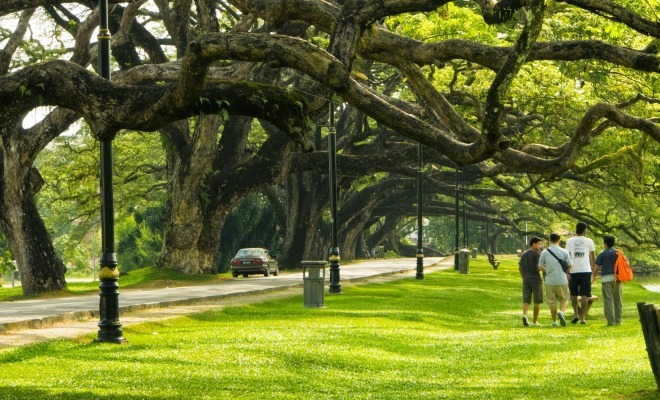 Kuala Lumpur’s very own Lake Gardens stands as a park just as beautiful as any other park in the world with its lush greenery and beautiful lake sceneries for the people in the city. What’s amazing about this park is the many mini parks located within the vicinity of its grounds. Many attractions that are a must-see destination in the city are located here – the Bird Park, Butterfly Park and the Orchid Park are here. A lazy afternoon can be spent here, with the family or with a loved one for a picnic. This was the tradition since the park was opened in the late 1800s when the British ruled. The lake that lies at the heart of the park was once known as the Sydney Lake; named after the wife of Sir Frank Swettenham. Today, it is known as the Tasik Perdana once the nation gained the independence. The forests that surround the park are safe as they no longer have any dangerous wildlife. 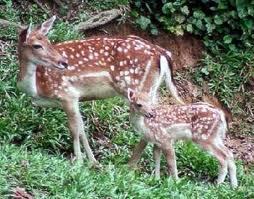 Instead, the park lying in the valleys are home to gentler animals like deers. Jogging tracks, exercise stations and playgrounds are some of the features of the park. It’s the best place to start on that New Year work out or maybe just to bring your children to have a relaxed day at the park. The park is beautifully landscaped, with small pots of colorful flowers, shrubs, small waterfalls and miniature statues around the entire park. A must see if you are in the vicinity of the park is the bird park. It is the largest aviary in the world and is home to many beautiful, unique and colorful birds of many species. The Bird Park is an amazing place for children to visit. The herbal garden was built in the 1900s and offers a showcase of many herbal plants that are commonly found around in Malaysia, made easier as you can now find it all in one place. An amphitheater is also something else that you can find here in the Lake Gardens Park. It serves as the place to be in to see cultural and modern shows and the best time to come here is on weekends. The best place to see if you want to see more flowers is the Orchid garden and the Hibiscus Garden located in close vicinity of the Lake Gardens. Here, you can closely view the unique species of these type of flowers and even visit the many souvenir shops that sell beautiful flowers in glass bottles, dried specimens and living memories of your visit to the park. The Lake Gardens Park is also a great place to pop that big question. Make the Gardens the place to propose to your special someone. There is a boat house too, if you want to propose in the middle of the lake.